Links, to help your research. 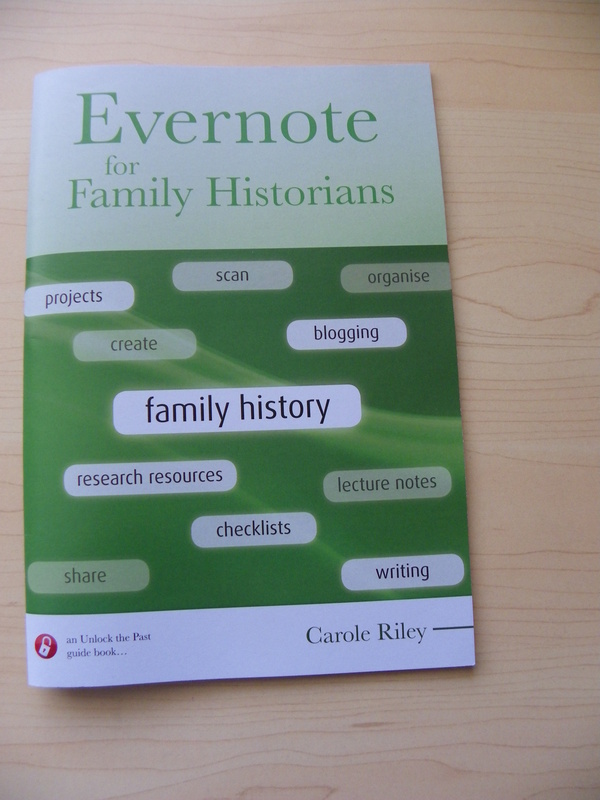 Evernote for Family Historians. Carole loves gadgets, new programs and is somewhat of an expert on them and with this one, she is an expert. I heard her speak on this, last year and the book is everything that she spoke about and more. While I am slowly working my way through it and applying what I have learnt/need, I couldn’t wait to share it with you. Carole takes you through the sections with clear and concise directions, tips and explanations. The main sections cover, Getting Started, Creating, Organising, Searching, Sharing, Family History and Security. Each of these have sub-sections in them. Another book from the Unlock The Past stable, purchased from Gould Genealogy, for $15, 43pages. ISBN 978 1 925323 06 1. It also comes as an ebook. I started researching because I was curious about my dad's side and from there it has grown. My own family names, that I'm looking for are, Abberton, Galbraith, Jasper, Nichols, Millar, Sigrist. So if you think there might be a link, contact me. Writing and an Interesting Drive Home. How to find a DNA match with a Phone Book and a DNA test.